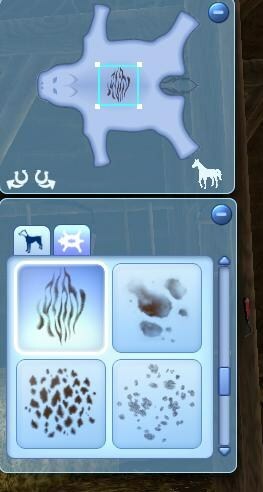 Create a Pet allows you to create any unique pet. 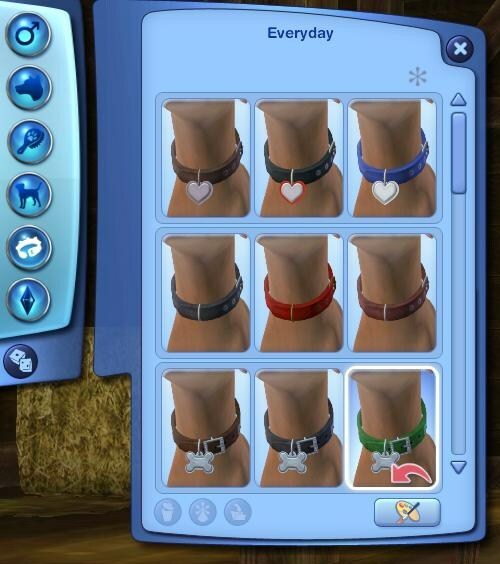 You can customize everything from ears to eyes, legs to tails and more! Everything you need to make your unique pet is at your fingertips and the options are endless! 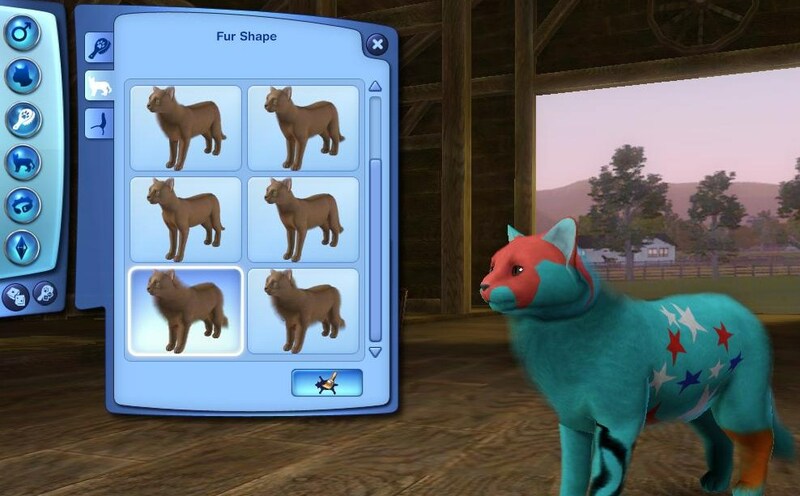 Once you begin Cat creation in CAP, you can choose from a number of Pre-Made Breeds, or create your own unique type. 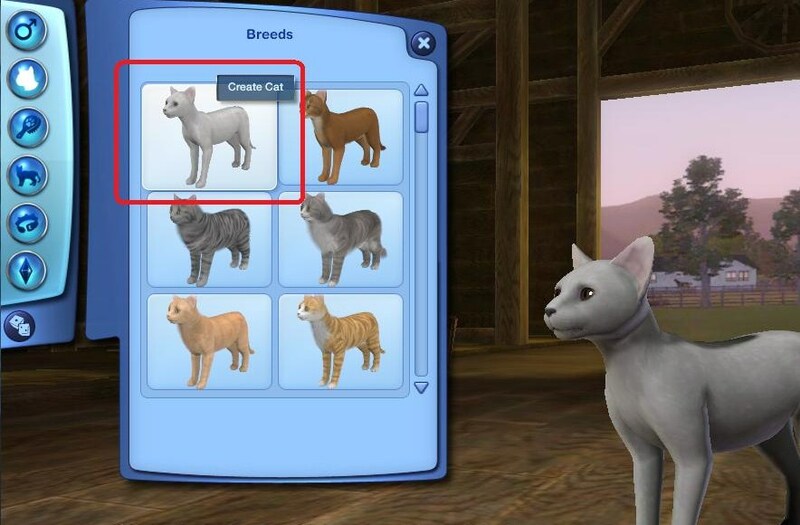 To begin creating your own Cat from scratch, select the “Create Cat” bare/blank cat available in the breeds section. This will give you a default Cat with no customization. 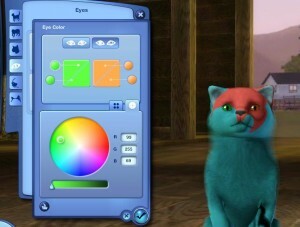 Once you begin customizing your Cat, the first option is going to be the Coat Color. You can select from a number of pre-made coats, or create a unique color of your own. In this case, I chose to create a blue colored solid coat to start. Now if I just wanted a solid blue cat, I would be finished now. 😛 However, I want to make this pet as unique as possible! I will now Select the “Advanced Mode” to get into the more particulars. I now have the option to choose and cover a complete region of the pet, or just use individual markings all over it’s body. All markings and Region marks are pre-made. You can also add a new layer for markings using the options to the right of the screen. By putting together different markings, you can even create your own unique marks as well. 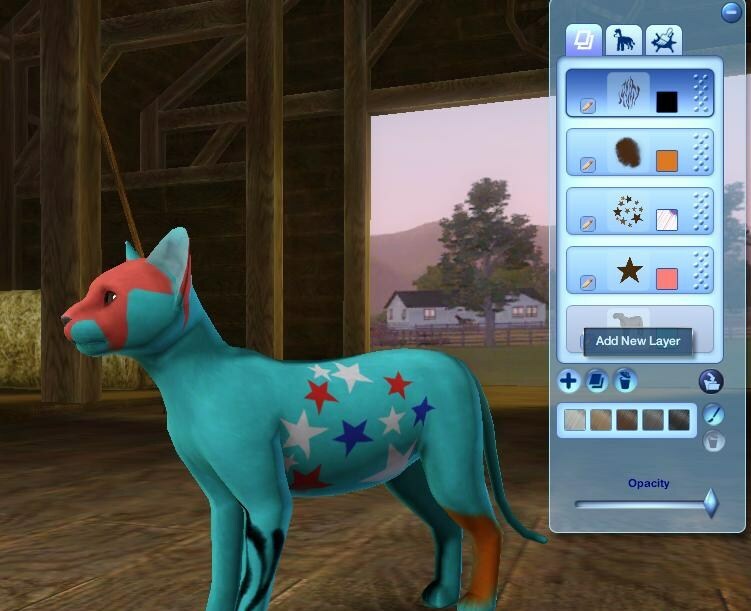 The Full body mode allows you to make changes to specific areas (legs, tail, full middle torso etc), while the markings option allows you do add marks (stars, stripes blotches etc) to any part of the body by moving them around. You can add as many full body marks or individual marks as you would like and you can color them all differently. To do this, simply use the right side panel options in advance mode. As you can see, the options are endless! 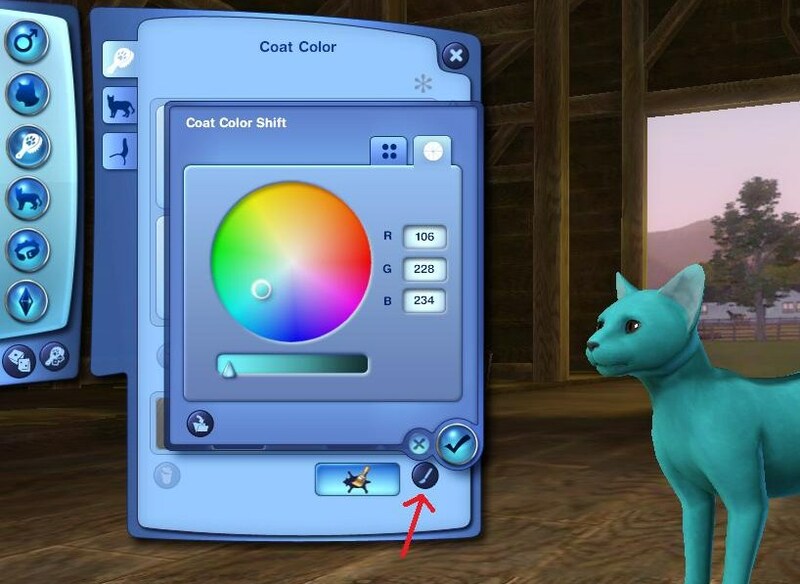 You can also use the 2nd and 3rd tabs on the advanced mode below to save (and share to the exchange) your coat color and change the current Fur options as well. Again, options are endless! 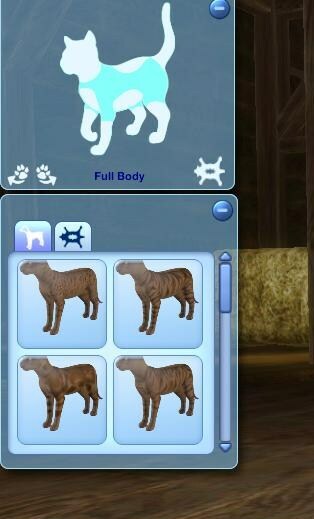 The 3rd section of customizing the cat will be to give the cat a tail, or stub. Enter Advanced mode for more fluffiness options and colors. 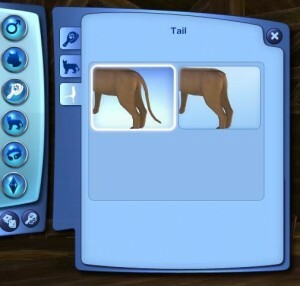 You have two tail options for Cats. 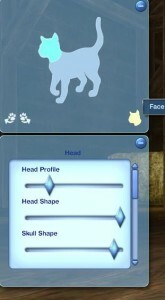 Once you have finished with the basics of customization, you can now fiddle with the Shape of the cat. You can change the shape & size of the body, head, eyes, snout and ears. Once you click on the Full Body tab, you can choose from pre-made body shapes, or enter adavnced mode and completely customize the neck, chest and stomach. 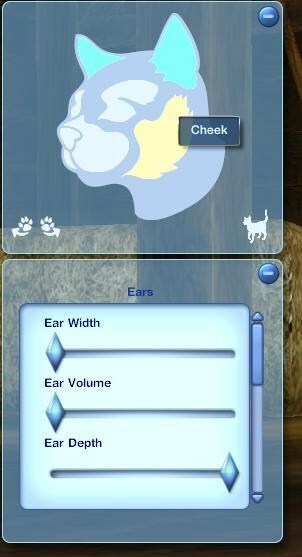 Once you are in advance mode, you can make changes to the face, cheeks, ears, muzzle nose etc. 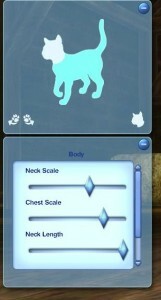 All the options you need to make your unique pet are readily available. 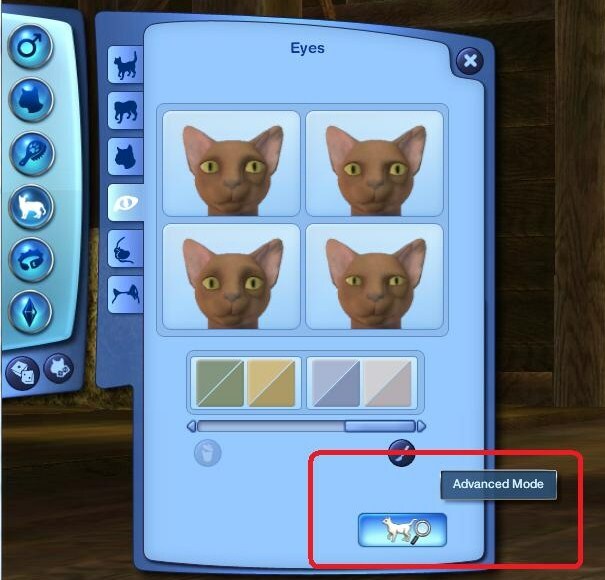 Now that you are finished with the main body of the cat, you can now enter the Eye Mode. Pets can have any type of eye color, size, shape you wish, and they can also have two different eye colors! Yes, pretty exciting for those of you that want to create an exotic looking pet. You have now completed Cat Customization and can go on to choose accessories (collars) & traits for you Pet. To read more about traits for pets, head on over back to the Game Guide. If you want to keep your Pet saved for later use, make sure to save the pet into the Pet Bin in CAP. 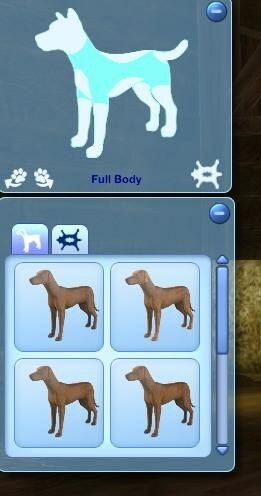 Once you begin Dog creation in CAP, you can choose from a number of Pre-Made Breeds, or create your own unique type. 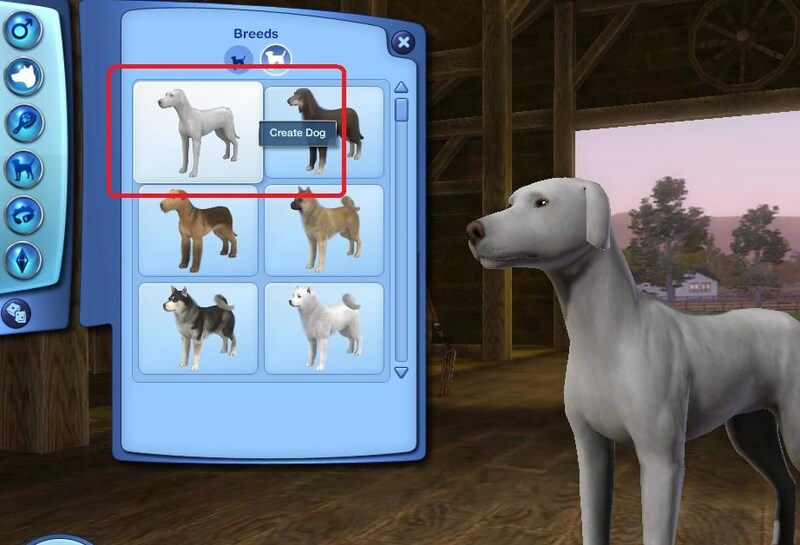 To begin creating your own Dog from scratch, select the “Create Dog” bare/blank dog available in the breeds section. 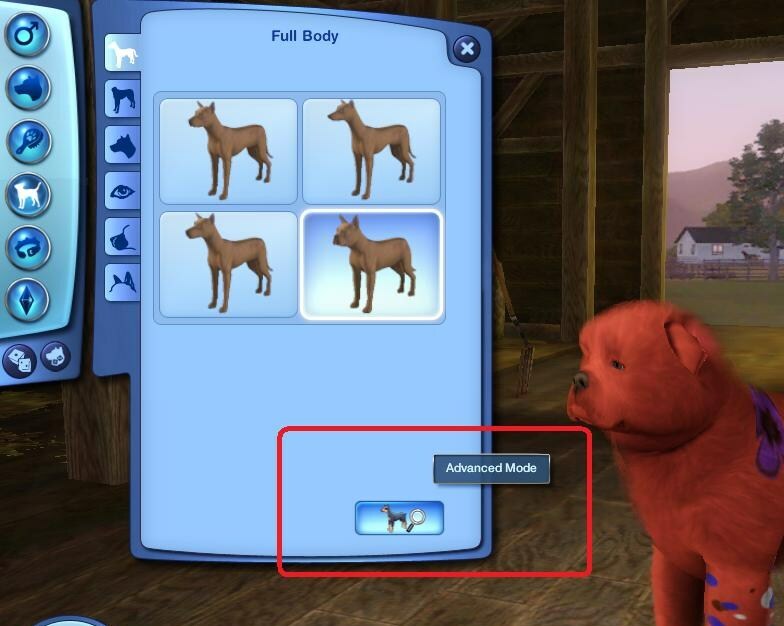 This will give you a default Dog with no customization. 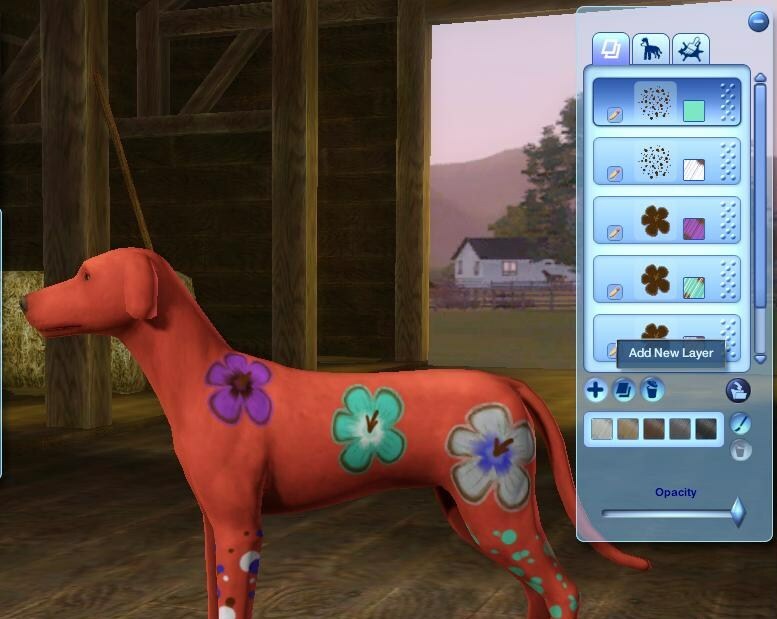 Once you begin customizing your Dog, the first option is going to be the Coat Color. 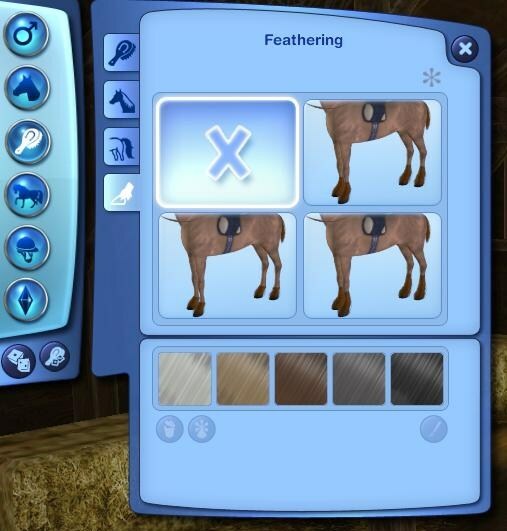 You can select from a number of pre-made coats, or create a unique color of your own. In this case, I chose to create a red colored solid coat to start. 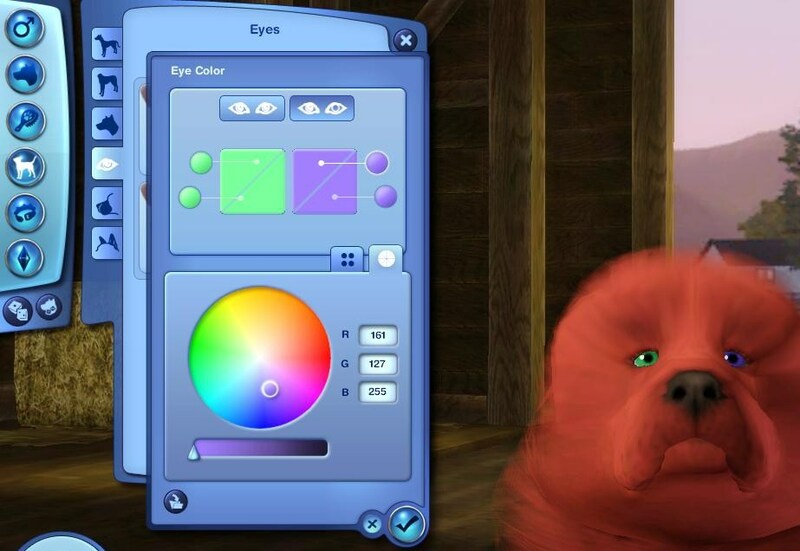 Now if I just wanted a solid red Dog, I would be finished now. 😛 However, I want to make this pet as unique as possible! 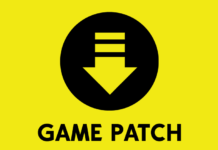 I will now Select the “Advanced Mode” to get into the more particulars. You can add as many full body marks or individual marks as you would like and you can color them all differently. To do this, simply use the right side panel options in advance mode. The options are endless! 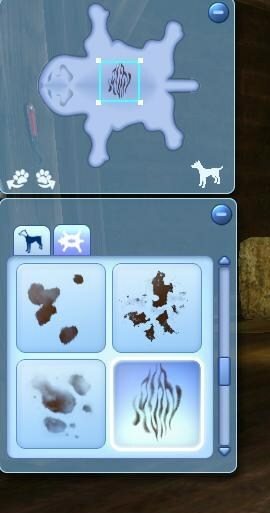 The 3rd section of customizing the dog will be to give the dog a tail, or stub. Enter Advanced mode for more fluffiness options and colors. 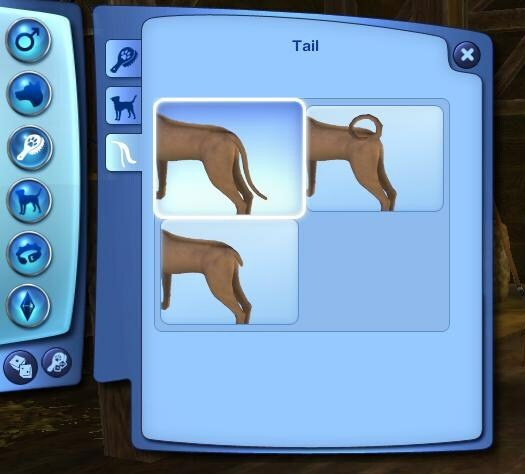 You have three tail options for Dogs. 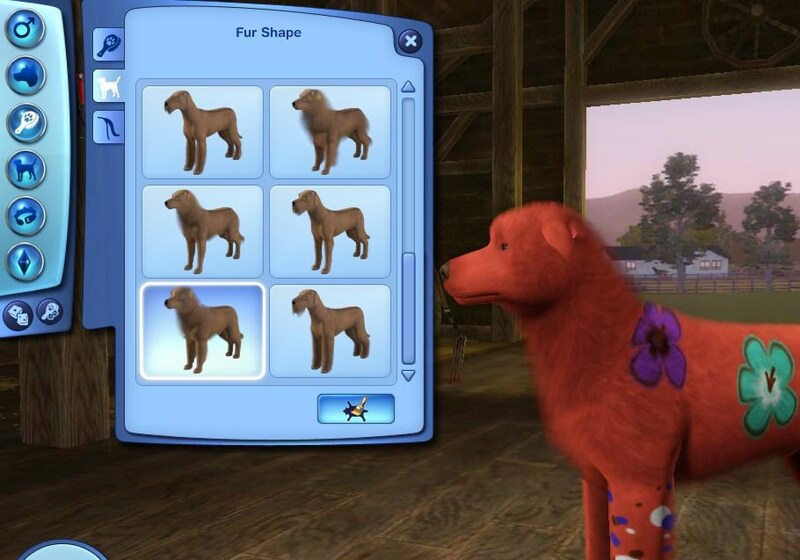 Once you have finished with the basics of customization, you can now fiddle with the Shape of the Dog. 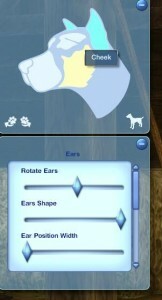 You can change the shape & size of the body, head, eyes, snout and ears. 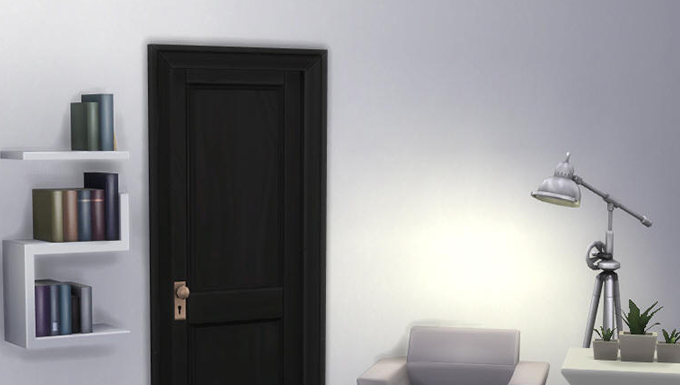 Once you click on the Full Body tab, you can choose from pre-made body shapes, or enter adavnced mode and completely customize the neck, chest and stomach. 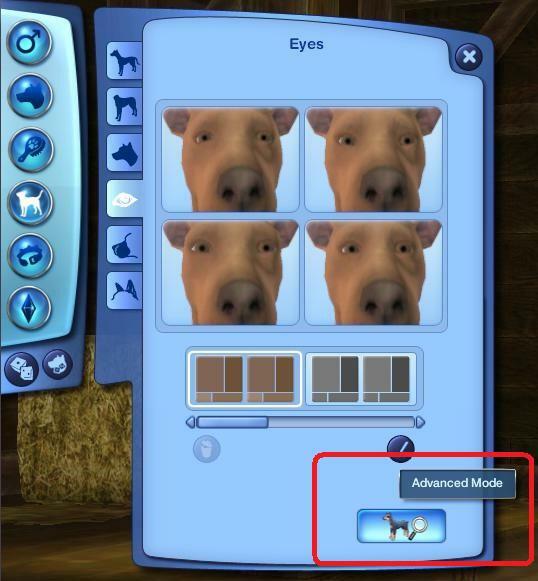 Now that you are finished with the main body of the dog, you can now enter the Eye Mode. Pets can have any type of eye color, size, shape you wish, and they can also have two different eye colors! Yes, pretty exciting for those of you that want to create an exotic looking pet. 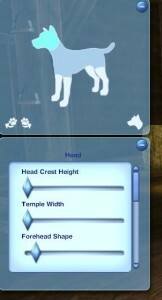 You have now completed Dog Customization and can go on to choose accessories & traits for you Pet. To read more about traits for pets, head on over back to the Game Guide. If you want to keep your Pet saved for later use, make sure to save the pet into the Pet Bin in CAP. 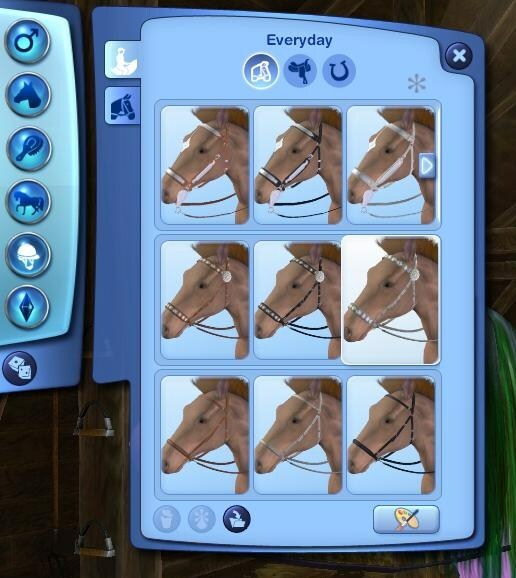 Once you begin Horse creation in CAP, you can choose from a number of Pre-Made Breeds, or create your own unique type. 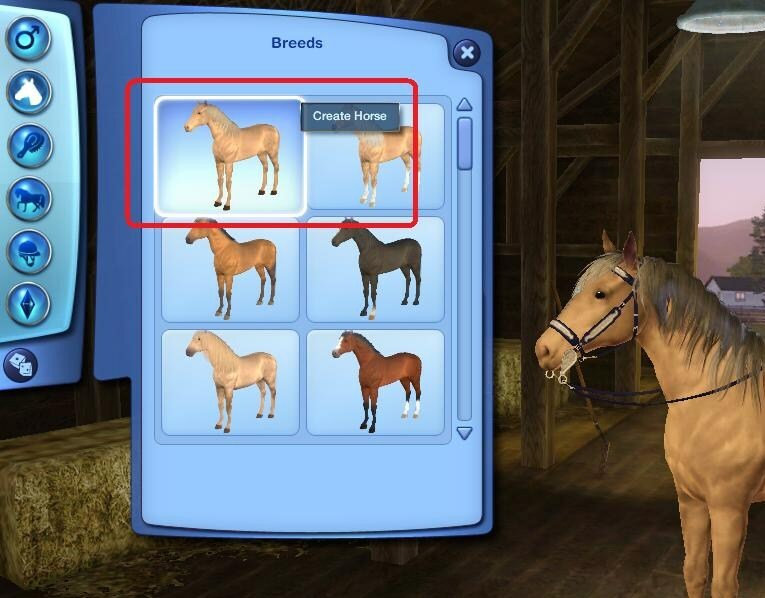 To begin creating your own Horse from scratch, select the “Create Horse” bare/blank horse available in the breeds section. 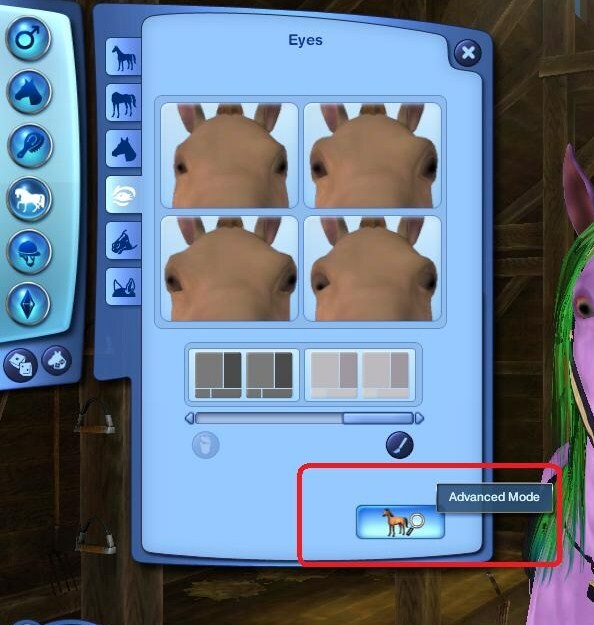 This will give you a default Horseg with no customization. 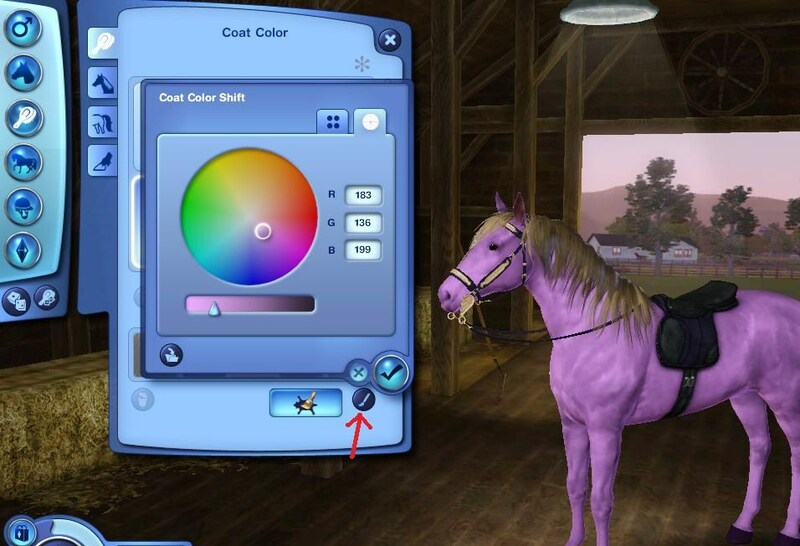 Once you begin customizing your Horse, the first option is going to be the Coat Color. You can select from a number of pre-made coats, or create a unique color of your own. In this case, I chose to create a purple colored solid coat to start. 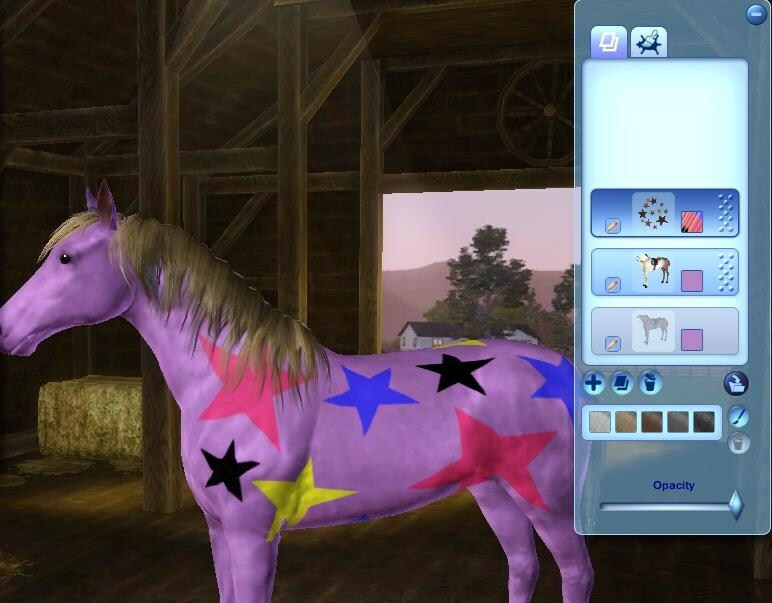 Now if I just wanted a solid purple Horse, I would be finished now. However, I want to make this pet as unique as possible! I will now Select the “Advanced Mode” to get into the more particulars. 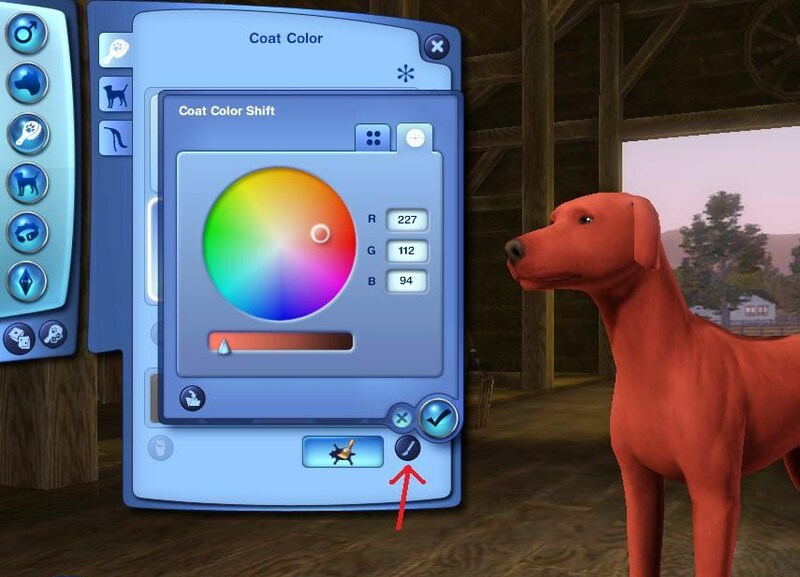 You can use the 2nd tab on the advanced mode below to save (and share to the exchange) your coat color and markings. 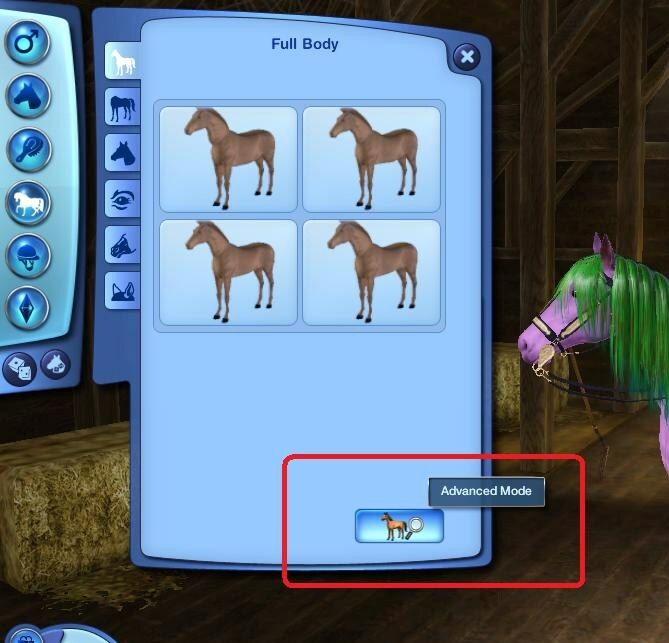 Horses do not have a fluffiness, so fur options are not available. The next section in CAP to choose from is the Mane. 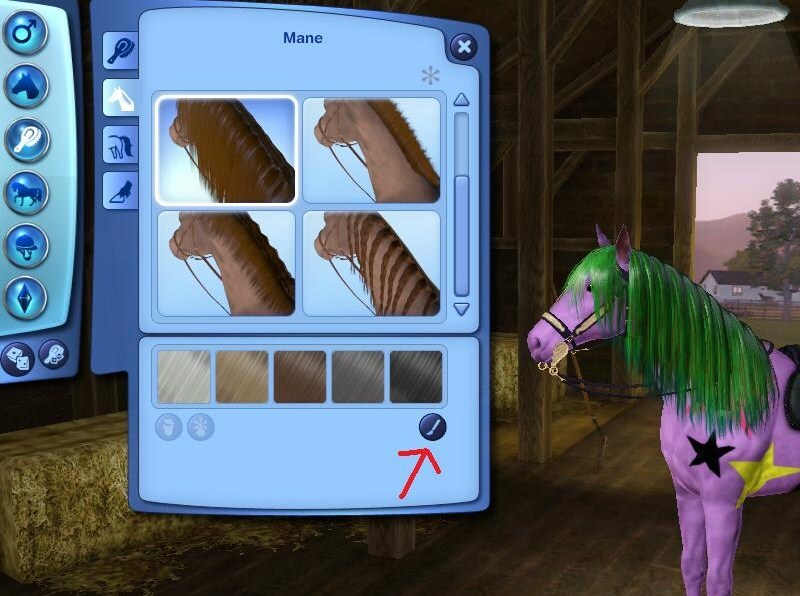 Select from a variety of pre-made mane lengths and colors, or head into Advanced mode to change and customize the colors. 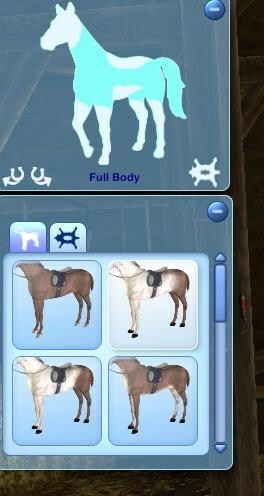 The 3rd section of customizing the horse will be to give the horse a tail type. 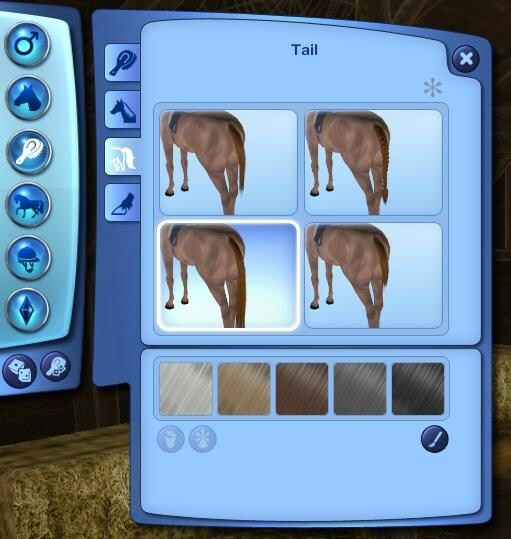 You have four tail options for Horses. 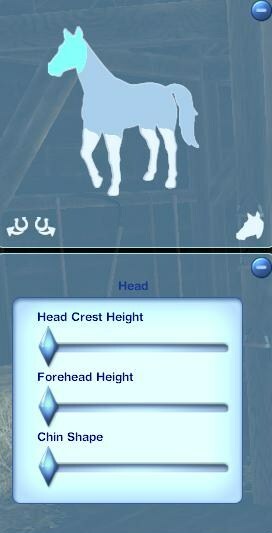 The 4th basic Horse customization will be to select the feathering of their hooves. You can include feathering, or leave them hairless. You have 4 options. 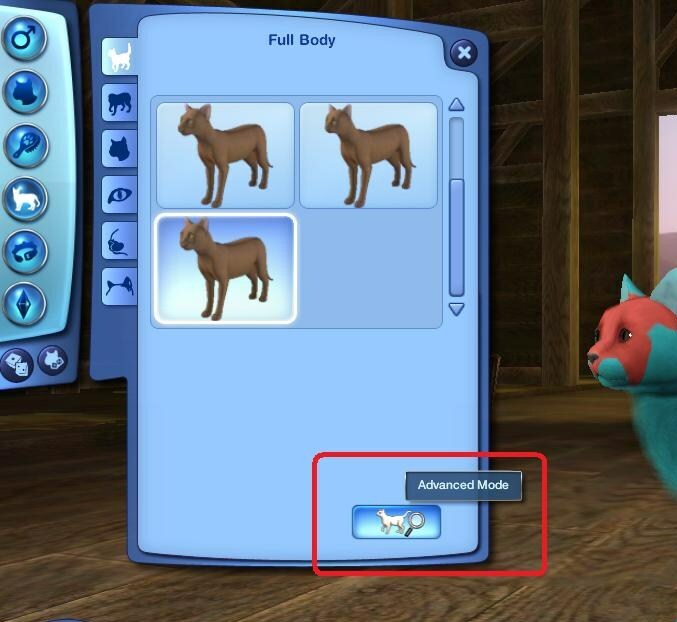 nce you have finished with the basics of customization, you can now fiddle with the Shape of the Horse. 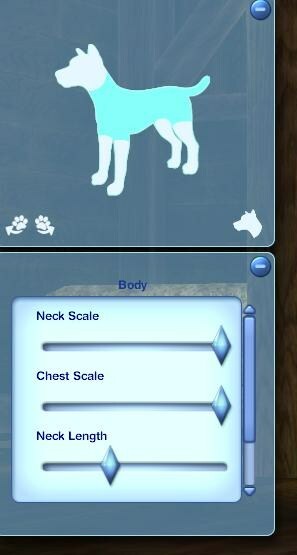 You can change the shape & size of the body, head, eyes, snout and ears. 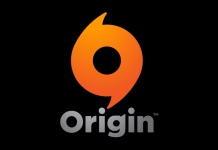 Once you click on the Full Body tab, you can choose from pre-made body shapes, or enter adavnced mode and completely customize the head, legs and full body. 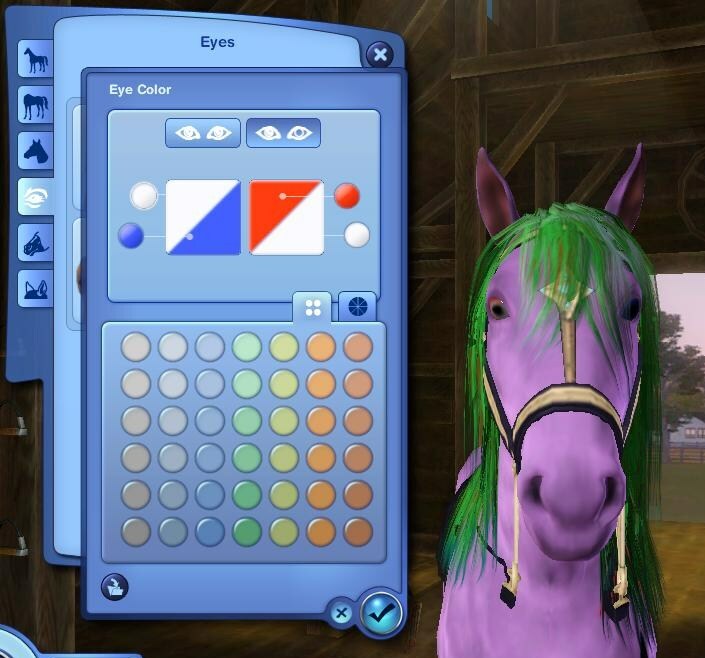 Now that you are finished with the main body of the Horse, you can now enter the Eye Mode. Pets can have any type of eye color, size, shape you wish, and they can also have two different eye colors! Yes, pretty exciting for those of you that want to create an exotic looking pet. 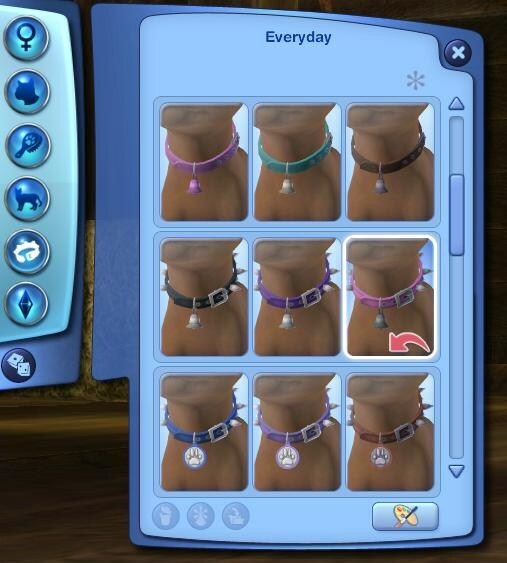 You have now completed Horse Customization and can go on to choose accessories (Bridles, Saddles & Leading Acccessories) & traits for you Pet. 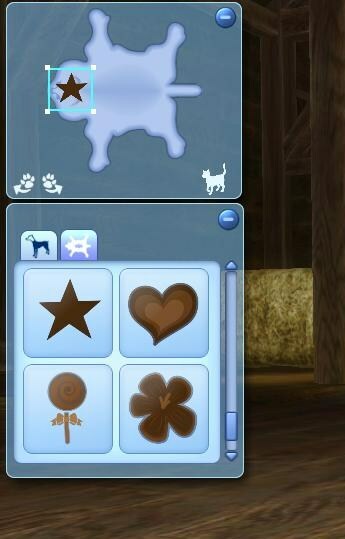 To read more about traits for pets, head on over back to the Game Guide. If you want to keep your Pet saved for later use, make sure to save the pet into the Pet Bin in CAP.